The internet has changed our lives in incredible ways. But with all its benefits, there are dangers lurking around us always. Safer Internet Day, an international day of awareness for the risks of the Internet, reminds us to protect ourselves from the dangers out there and make the internet a little safer for everyone. 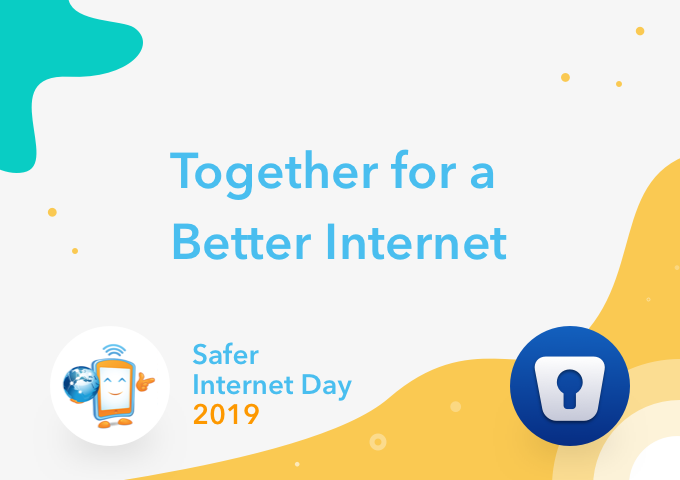 Starting as an initiative of the European Union SafeBorders project in 2004, Safer Internet Day (SID) has become a landmark event in the online safety calendar and now celebrated in approximately 140 countries worldwide. Recently Google, in partnership with Harris Poll, surveyed a nationally representative sample of 3,000 adults ages 16+ living in the United States to understand their beliefs and behaviors around online security. In the survey, it has been found that there’s a massive gap between the perception and the reality of the people when it comes to online security. Majority of people (69%) give themselves an A or B when it comes to protecting their online accounts — only 5% give themselves a D or an F. In fact, most people (59%) believe that their accounts are safer from online threats than the average person. 61% say they are too smart to fall for a phishing scam. However, despite this confidence, many respondents described practices that could put their data at risk. 2 in 3 (65%) respondents reuse the same password for multiple accounts, with 51% reporting that they have a favorite password they use for most of their accounts. While 53% understand that using letters, numbers, and symbols is the best practice for generating passwords, only 39% actually follow this guideline. Only 1 in 4 (23%) believe that making passwords long is an important best practice. And several people still use personal information to create passwords — for instance, 24% of 16-24-year olds use their name or nickname. The majority of people say they wish they had a better way to keep track of their passwords (61%) and have too many passwords to remember (60%). Half often forget their passwords and have to reset them (49%) or write their passwords down on paper (50%). 7% have never changed the password of their most used account. Yet, only 24% reported using a password manager. The majority of respondents have either an email address (87%) or mobile device/cell number (73%) tied to their accounts as recovery information. And, users understand the importance of software updates — 79% of respondents believe that updating security software is very important or absolutely essential to their online security. Only 32% of people could correctly define phishing, password manager, and Two-factor authentication (2FA). 19% were unable to define any of these terms. 1 in 3 people (31%) are not using 2FA at all or don’t know if they are using it. The most important thing you can do to celebrate Safer Internet Day is work towards streamlining your own online safety portfolio. Frequently check your online accounts, connected apps, and services, and logged in devices to avoid any security threat. Avoid downloading apps from unknown sources and keep a check of permissions that you grant an app on your phone or desktop. Stay alert and vigilant to avoid falling for a phishing attempt, online scam, or identity theft. Always use strong passwords, don’t repeat the same password at more than one place, and use a password manager. Staying a little watchful online and being mindful of one’s online behavior will really make Internet a better place as it was envisioned to be. We’re all in this together! Introducing Enpass 6; Crafted with the spirit of HimalayasWhat exactly are ‘Data Breaches’?